The ambitious program to collect the short fiction of Grand Master Jack Williamson continues! 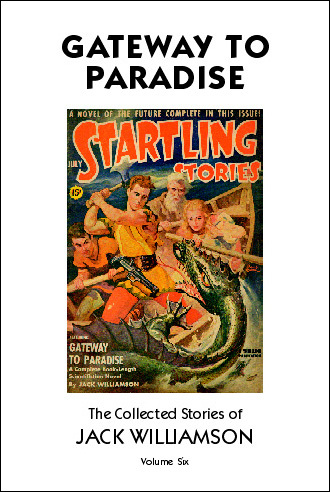 Of the 10 tales in this collection drawn from classic pulp magazines–Unknown, Thrilling Wonder Stories, Super Science Stories, Marvel Stories, Comet, Argosy Weekly, Startling Stories, and the rare fanzine Stardust (three of which are full-length novels! )–nearly half have never been reprinted before.